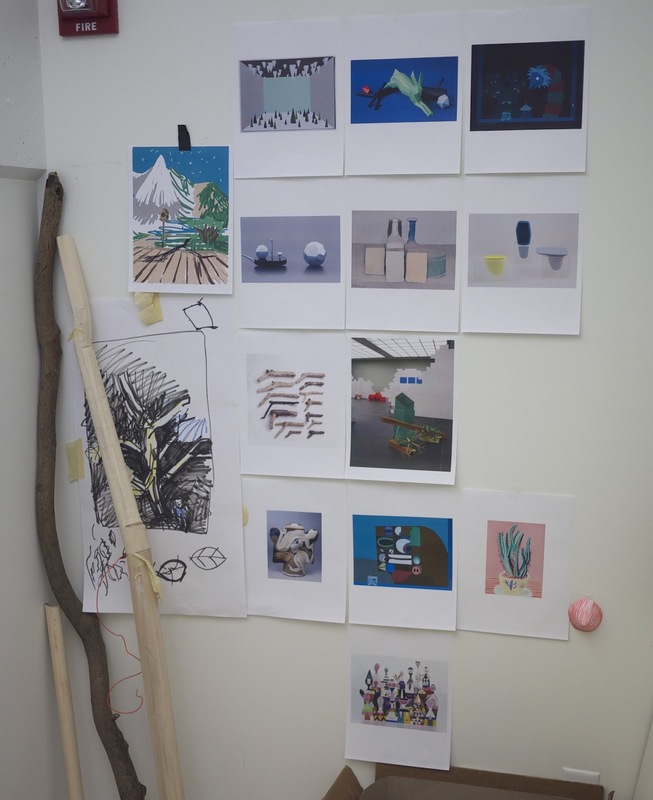 In the Color Textures installation, a magical wooden stick contaminates its holder with a curse that modifies the feel of objects and images of the environment. It reveals a parallel world in which dynamic textures are hidden in a colorful world of smooth and silent images and shapes. 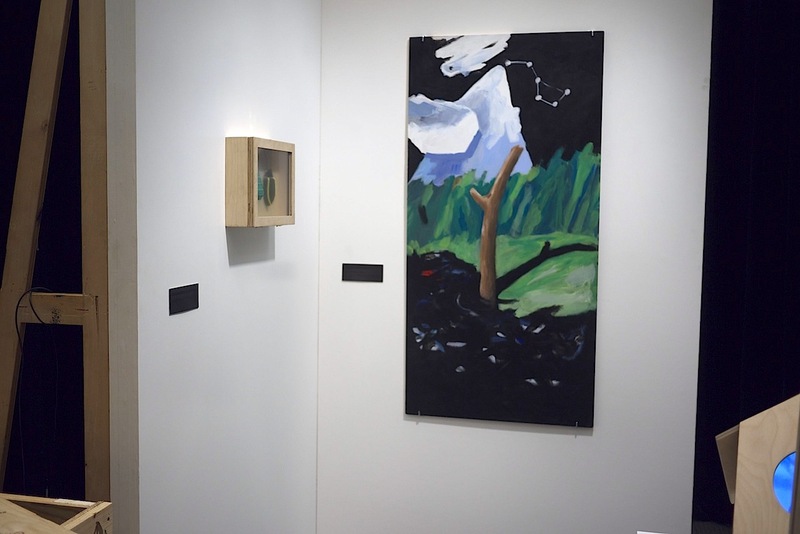 This installation is based on the Revel Technology. 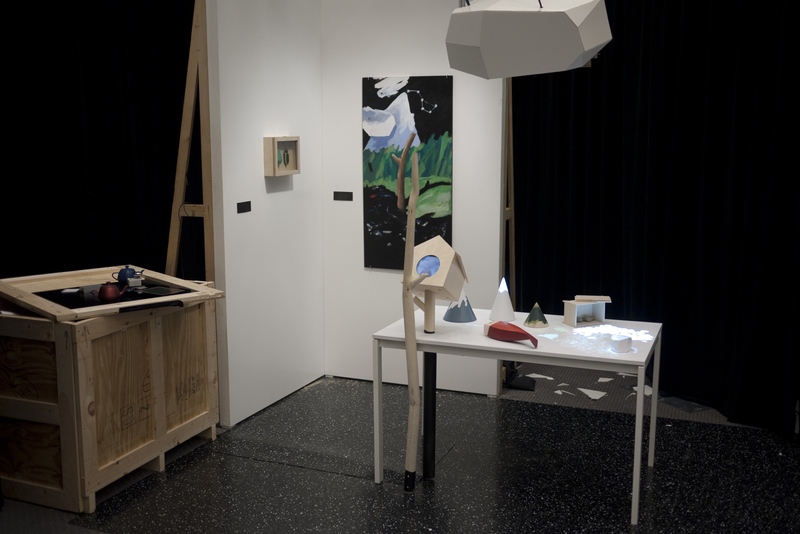 This installation explores tactile surrealism, in which textures mapped to objects and images are unexpected, incoherent, surprising, and do match with the expected feel of the environment, provoking surprise when touching a painting, a wooden object or a projected image. 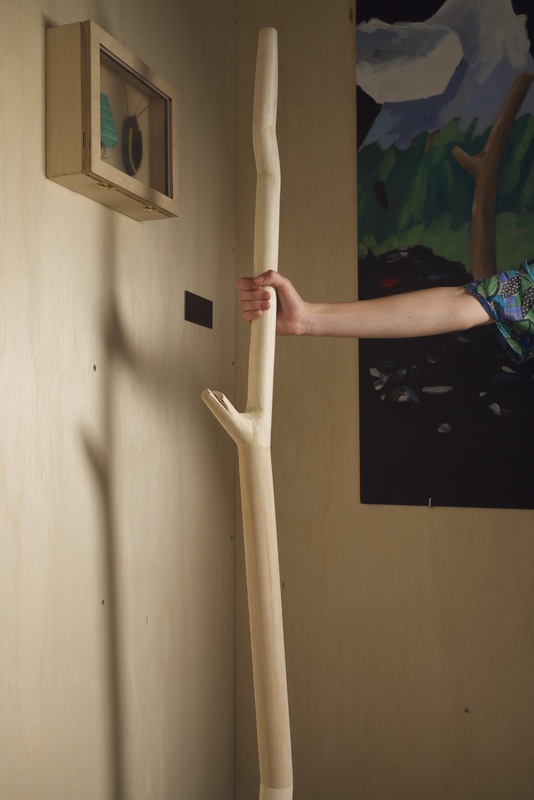 While wielding the wooden stick, the user can feel the scale on a smooth painted wooden fish, feel the rough texture of projected sand and bumpy sensation of pebbles while sliding his finger on the table. He can experience the tickling sensation of pine needles on a smooth wooden painted tree. 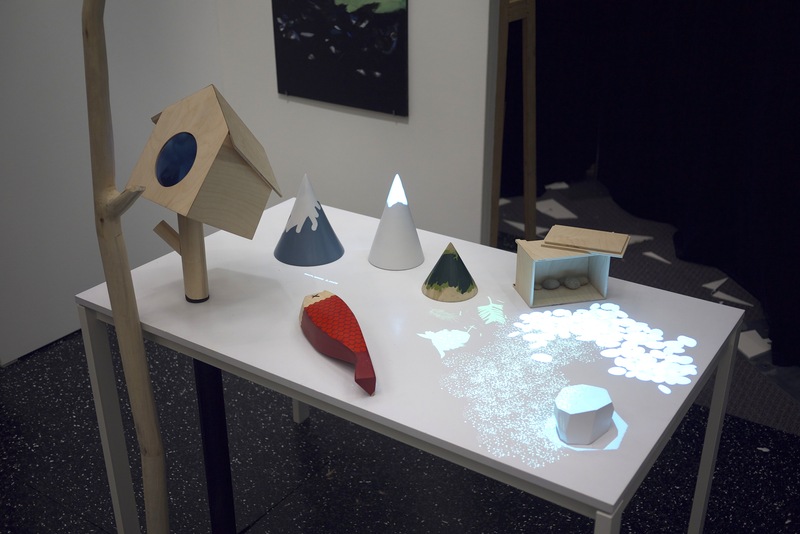 He can also experience different tactile sensations when interacting with a see-through bird house that overlays virtual elements on the physical table. 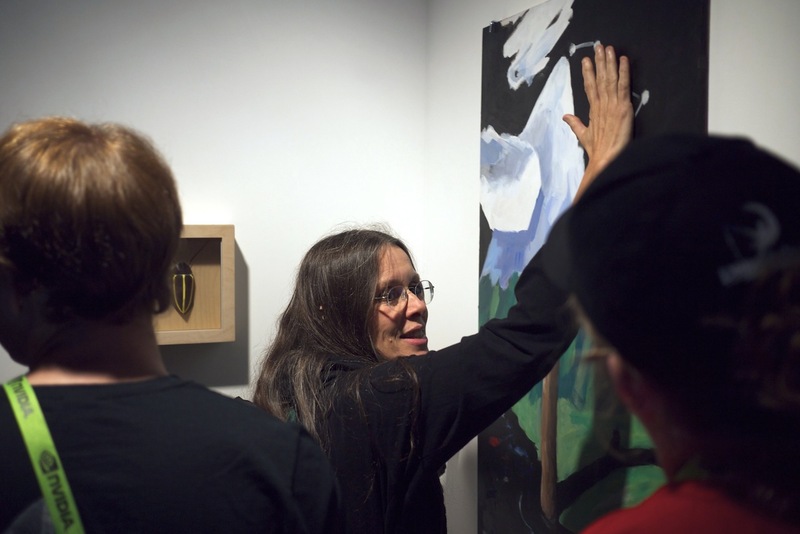 In our installation, the visitors can feel unexpected artificial sensations on different areas of a physical painting, and feel the texture of paper bugs through the glass of a display case without touching them. 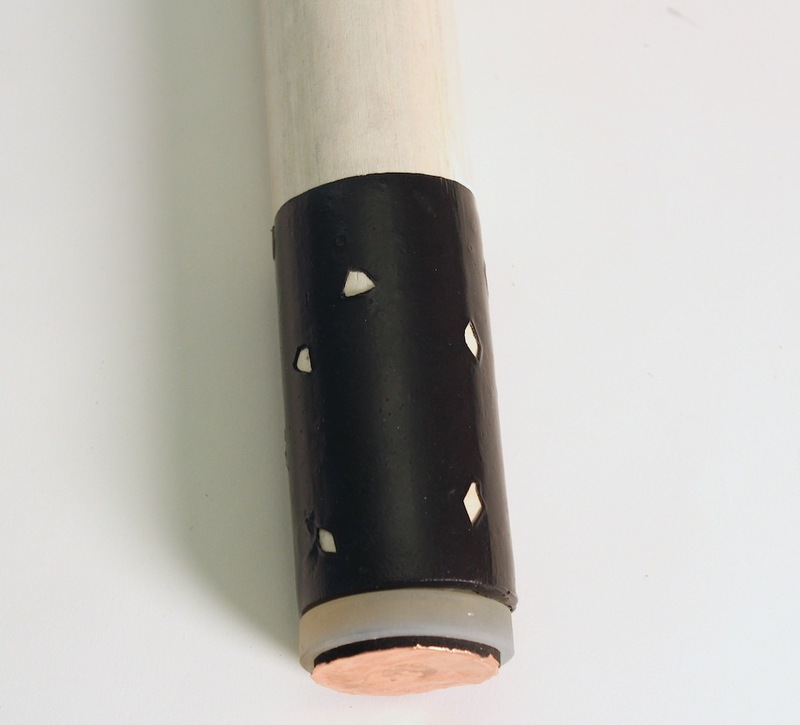 The Revel device is embedded at the bottom of the stick. 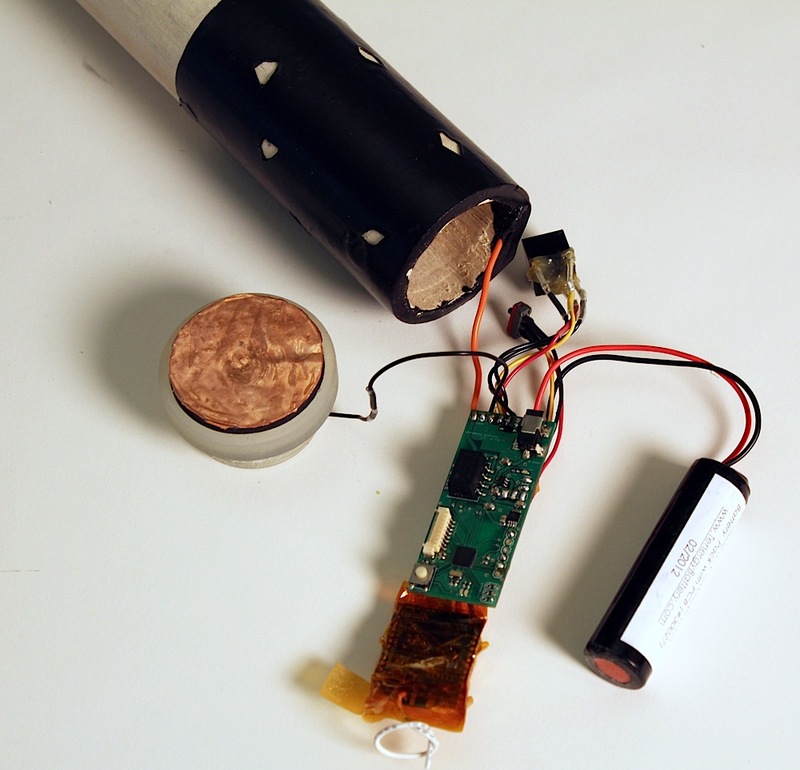 The user is in contact with the Revel electrodes through a copper-painted trace painted along the stick. 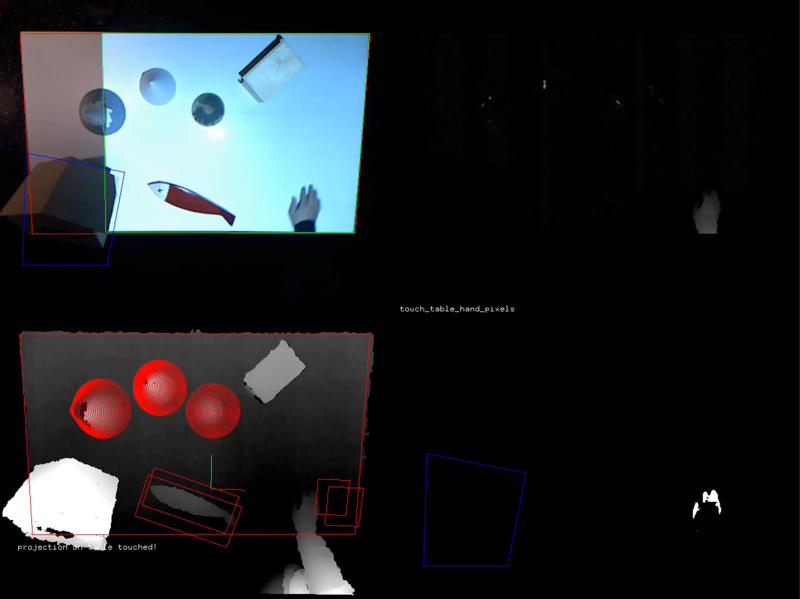 Visitor tracking on the table is achieved using a Kinect depth camera, that provides the coordinates of the user's contact points with the table and physical objects. 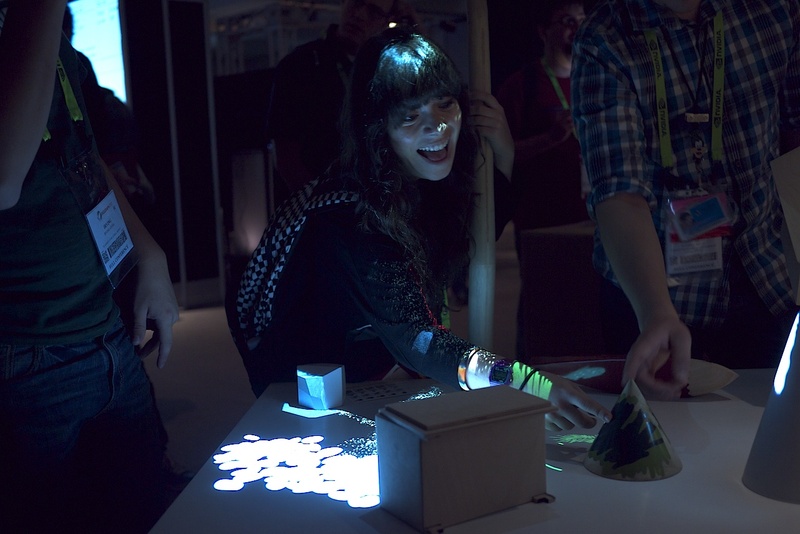 The Color Textures installation was displayed during one week at the SIGGRAPH 2012 Emerging Technologies exhibition. REVEL: A Tactile Feedback Technology for Augmented Reality. The Color Textures installation was designed and developed with Laureline Galliot (Design), Mathieu Le Goc (Electrical Engineering) and Matthew Glisson (Mechanical Engineering) at Disney Research in Pittsburgh, PA.
BBC Focus Magazine. Touchy-feely technology. October 2012. MIT Technology Review. 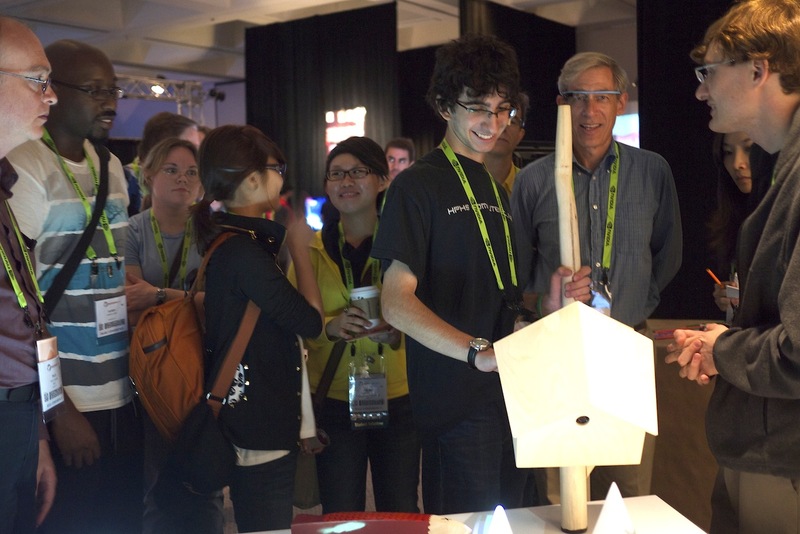 Disney Researchers Add Virtual Touch to the Real World. August 9, 2012. Wired. Electrical fields passed through the body generate virtual textures. August 10, 2012. Engadget. Disney's REVEL could turn the whole world into a tactile touchscreen. August 10, 2012. Gizmodo. Using Electrical Charge to Make the World Feel Different. August 9, 2012. Creative Applications. Disney Researchers Augment Touch Sensation with REVEL. August 9, 2012.